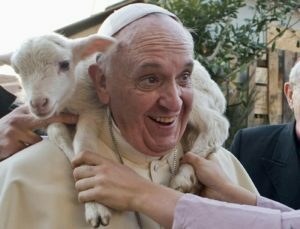 This Sunday 22 April we celebrate Good Shepherd Sunday, the Day of Prayer for Vocations. 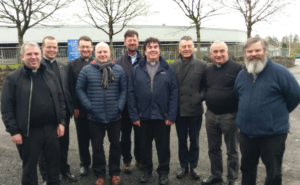 In our April issue, Father Willie Purcell, National Vocations Coordinator, reflected on Pope Francis’ Message for Vocations Sunday in his article ‘Vocation is Today; the Christian Mission is Now’. Read the full article below, or click here to download a PDF of the article. The purpose of the World Day of Prayer for Vocations is to pastorally fulfil the Lord’s instruction to ‘Pray the Lord of the harvest to send labourers into his harvest’ (Mt 9:38). On Vocations Sunday, we pray that men and women will hear and respond generously to the Lord’s call to the priesthood, diaconate and religious life. In his message for this year’s Vocations Sunday, Pope Francis lists three key elements that lie at the heart of hearing and answering the vocational call: listening, discerning, and living. The listening heart reveals to us that ‘God comes silently’ and that, without a listening heart, the voice of God can be drowned out by the distractions of daily life. The noise and clamour of the world often lead us away from hearing what God is saying to us in the bits and pieces of our lives. In his message, Pope Francis reminds us that Christians need ‘to listen carefully to his word and the story of God’s life, but also to be attentive to the details of our own lives’. It is easy for us to identify with the words of Pope Francis, for it is often in the ordinary experiences of our daily lives that we experience the extraordinary presence of God. Many priests, religious and deacons would say that it was at the most unexpected time in their lives that they felt the call of Jesus the Good Shepherd to come and follow him. Turning to the theme of spiritual discernment, Pope Francis says that this is ‘a process by which a person makes fundamental choices, in dialogue with the Lord and listening to the voice of the Spirit, starting with the choice of one’s state in life’. The Christian vocation always has a prophetic dimension, since current events in a person’s life and in the world must be examined ‘in the light of God’s promise’. Every Christian ought to grow in the ability to ‘read within’ his or her life, and to understand where and to what he or she is being called by the Lord, in order to carry on their mission. Each one of usis called – whether to the lay life in marriage, to the single life, to the priestly life in the ordained ministry, or to a life of special consecration – in order to become a witness of the Lord, here and now. We are all called to live out our vocation wherever Gods wants us to be, and there is no reason to fear God’s call, even to a life consecrated to God’s kingdom. Pope Francis concludes his message for World Day of Prayer for Vocations by reminding us that the Lord never stops calling men and women to follow him. We should, like Mary, respond with a generous ‘Yes,’ without fear of our limitations, but instead with open hearts to hear the voice of the Lord. We must listen to that voice, discern our personal mission in the Church and the world, and live it today. Click here for more features, content, and resources from our April issue.